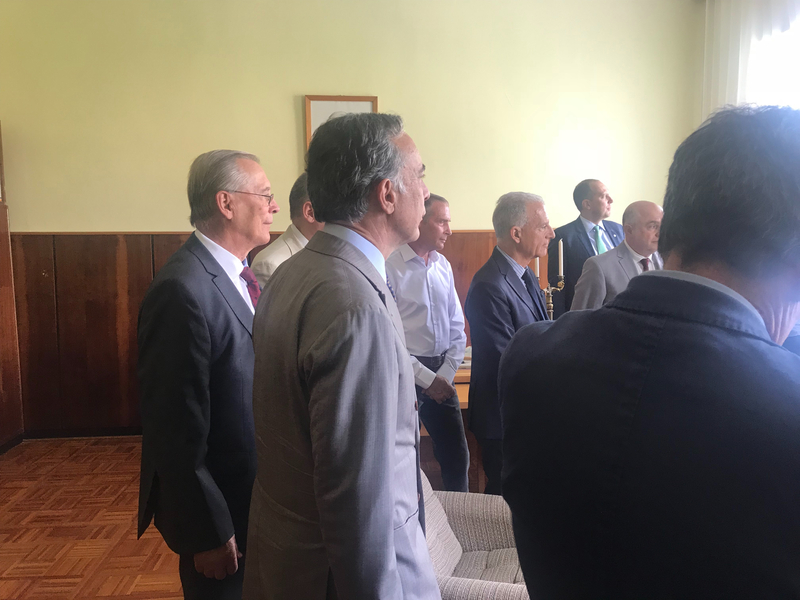 Today, our laboratory received honoured guests, the Ambassador of Italy to the Russian Federation Mr Pasquale Q. Terracciano accompanied by the First Counsellor of the Italian Culture, Science, and Language Promotion and Consular Network Coordination Office Mr Walter Ferrara, and the Scientific Attaché of the Italian Embassy to Russia Mr Aldo Spallone and the delegation of the Italian National Institute for Nuclear Physics(Istituto Nazionale di Fisica Nucleare - INFN) headed by INFN PresidentMr Fernando Ferroni accompanied by the INFN Vice-President Antonio Masiero. The guests visited the Memorial Study of Bruno Pontecorvo. The Summer School scientific educational project has opened its 15th season. For the sixth year it takes place in the Volga camp of the Joint Institute for Nuclear Research. Eleven workshops are opened this year.Today, the youngsters from the Astrogeo workshop visited our laboratory. Georgy Aleksandrovich Shelkov told the school students about a remarkable Showers of Knowledge project, which, owing to present-day development of technology, allows everybody to fully participate in a modern physical experiment and gain practical knowledge about current scientific objectives and research methods.Mikhail Vasil’evich Lyablin showed the visitors a new DLNP Metrology Laboratory and told them about the research platform seismically insulated in angle, which was developed on the basis of the Precision Laser Inclinometer. At the end of the excursion the visitors watched the assembly of the Cherenkov telescope for the international TAIGA experiment in the Tunka valley. Artur Borodin not only spoke about difficulties faced in manufacture and assembly of the telescope but also showed how astrophysical mirrors were polished. Congratulations to Petr Smolyansky on the successful defence of the candidate’s dissertation! On 6 July 2018, at the session of the DLNP Dissertation Council Petr Igorevich Smolyansky defended the dissertation “Study of gallium arsenide pixel detectors based on the Timepix microcircuit” (speciality 01.04.01 “instruments and methods of experimental physics”)for getting the decree of the Candidate of Sciences in Physics and Mathematics. We heartily congratulate Petr on the successful defence of the dissertation and wish him further success and creative achievements! At the seminar, consideration was given to advantages and drawbacks of methods for measuring coordinates of the laser beam center and determining the range and amount of laser beam displacements using the quadrant photoreceiver, CCD matrix, and dividing plates. The results of the double beta decay investigations were reported. The investigations are carried out with the TGV-2 andObelix low-background HPGe spectrometers at the Modane underground laboratory (France) at a depth of 4800 m water equivalent. The main goal of the measurements with the 32-detector spectrometer TGV-2 is direct detection of the two-neutrino double electron capture in the 106Cd decay. Today, on 20 June 2018, a scientific seminar was held at the JINR Scientists’ Club to celebrate the 90th birthday of Prof. S.M. Bilenky. 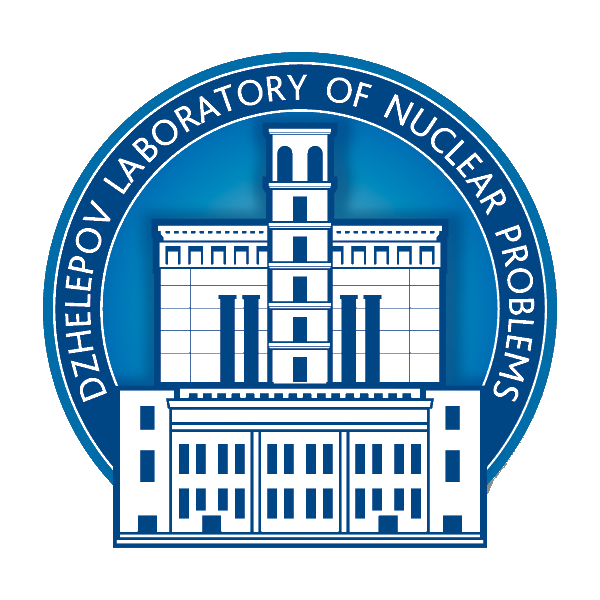 The seminar was organized by the Dzhelepov Laboratory of Nuclear Problems and the Bogolyubov Laboratory of Theoretical Physics. An important result of the hadron programme at COSY (Jülich, Germany) is the isoscalar resonance with the mass of 2380 MeV and width of about 70 MeV observed by the WASA collaboration in the reactionpn→dπ0π0. Ludmila Kolupaeva became one of the finalists of the poster session at the international conference Neutrino2018 in Heidelberg. We hearlity congratulate Lyudmila and wish her further victories!